Durrant had dominated the BDO circuit throughout 2016 and was under massive pressure to deliver this week after his previous World Championship heartbreak at the Lakeside. However, 'Duzza' held his nerve magnificently to clinch his maiden world title and the £100,000 winner's cheque. The 46-year-old Teessider averaged 93.48, landed 13 maximums and posted 87 ton-plus scores to crown the greatest night of his darting life. 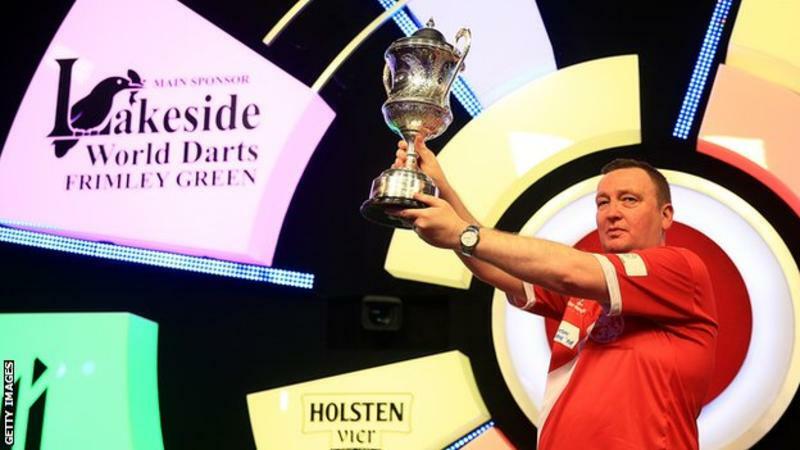 "I'm the champion and it's a culmination of a journey and a real dream," the 46-year-old told bdodarts.com. "It supersedes everything and I'll show real respect to this trophy. I'm the happiest man in England right now." Number one seed Durrant started with two consecutive 180s to help secure a break in the very first leg and he wrapped up the set with little trouble. Holland's Noppert, making his debut at Lakeside, responded well to take the second and third sets but Englishman Durrant took the next two for a 3-2 lead. Noppert held firm to wrap up the sixth set before Durrant took out 74 to move 4-3 in front and it proved to be decisive. The 46-year-old Durrant then secured a two-set cushion for the first time by edging the eighth in a decider and broke little sweat to seal the ninth as Noppert's confidence visibly waned. Despite being broken twice in the 10th set, Durrant battled back and held his throw in the fifth leg to seal a comprehensive victory. Noppert had performed magnificently on his Lakeside debut, but he was convincingly beaten despite averaging 93.30 and also landing 13 maximums. "It was a really hard match today. It was not my best performance in this tournament," said the 26-year-old. "I think he deserved this title; he was the best player this year, but I'm confident at the moment and I'm looking forward to next year."